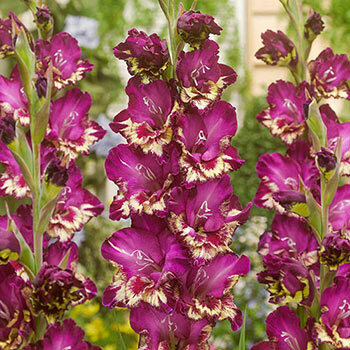 You'll love this gladiolus variety for the color and flair it brings to your landscape. Ruffled, bicolor flowers of rich plum-purple are accented in creamy yellow at each lip. The blooms march up and down stalks that reach 24-36" tall-an ideal height for borders, container gardens and cut-flower arrangements. Color Club, like other glads, is fast growing and easy to maintain. They only need a sunny site with well-drained soil and regular watering to thrive. 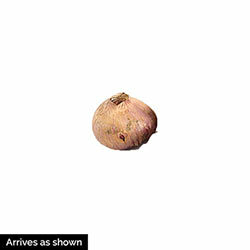 Plant bulbs every 7-10 days to extend their bloom time from weeks to months.